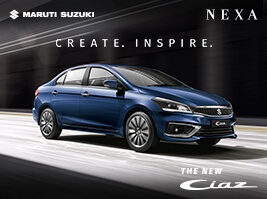 Maruti Suzuki India Ltd. provides replacement of parts under the brand “Genuine NEXA Parts". Genuine NEXA Parts are precisely engineered according to the design & specifications of the specific model, hence giving the best performance to your vehicle. Genuine NEXA Parts meet global quality standards & add to your safety and driving pleasure while ensuring that your car gets a long service life. Genuine parts always pay off. For allowing clean air in your vehicle's combustion chamber; Genuine NEXA filters are precisely tailored to the vehicle’s engine to provide optimum & economical performance. 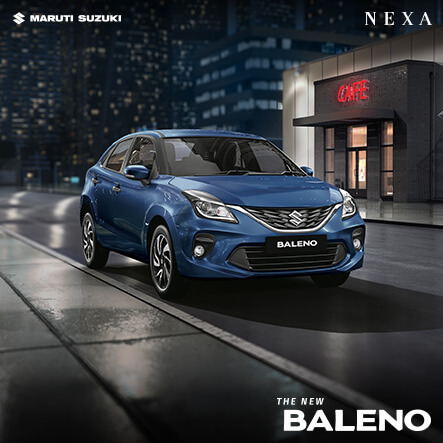 For a well oiled engine that is free from impurities and produced from combustion; Genuine NEXA oil filters have a large filteration surface for effective cleaning to protect your S-Cross engine from damage. 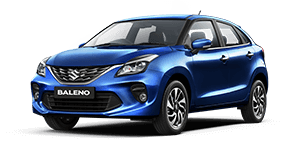 For a smooth & quiet transfer of engine power to the transmission; Genuine NEXA clutches are engineered according to original manufacturing standards, they fit seamlessly for perfect acceleration. 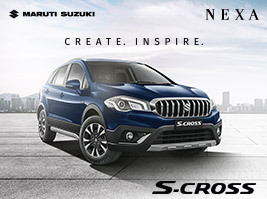 For a safe driving with short braking distance; Genuine NEXA brake pads are perfectly tailored for your S-Cross that provides perfect braking & longevity. Non asbestos material further makes it more environment friendly. For a clear view through windscreen at all times; Genuine NEXA wiper blades are designed to provide perfect contact to the windscreen. For a smooth and comfortable ride over various surfaces & roads, Genuine NEXA Shock absorbers are designed for longevity & performance and are made with high quality material. So no more bumps in your ride! For an efficient engine performance, Genuine NEXA Spark Plugs ensure faster response & precise ignition.